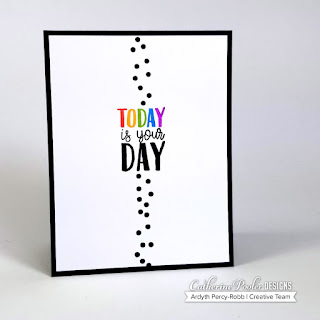 I showed this card the other day when the latest Stamp of Approval collection was released and got a question about how I inked up the multi-coloured sentiment, so I made a two-minute video with some tips for using masking and a MISTI. Thanks for the visual. Very helpful. I'll try to remember to remove the tape before stamping! Fabulous! Ardyth I am so impressed that you crossed the hurdle made this video - good for you! I love your short videos as well. You’re a terrific card crafted! A fabulous CAS design. 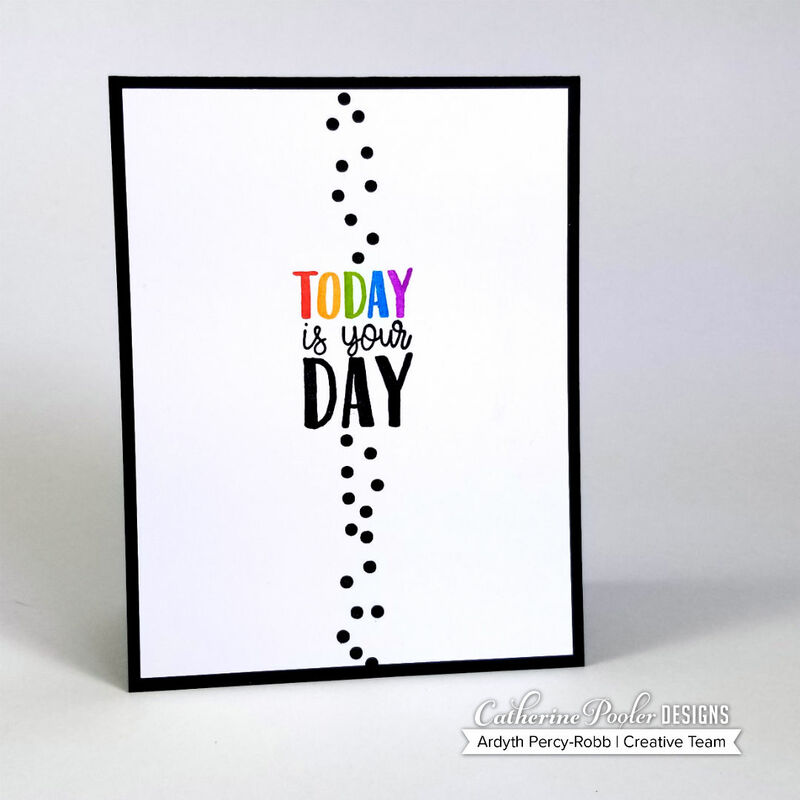 I love these small touches of colours among the black stamping and the white cardstock. Thanks so much for the video and the great tips ! What a lovely card! Thank you for your scotch tape tip; it is a "why didn't I think of that" idea! I will be using it a lot! Great video! Love hearing your voice!